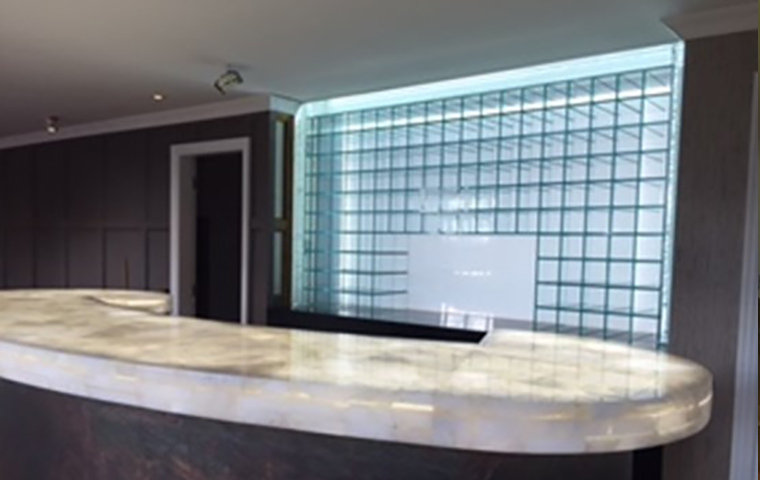 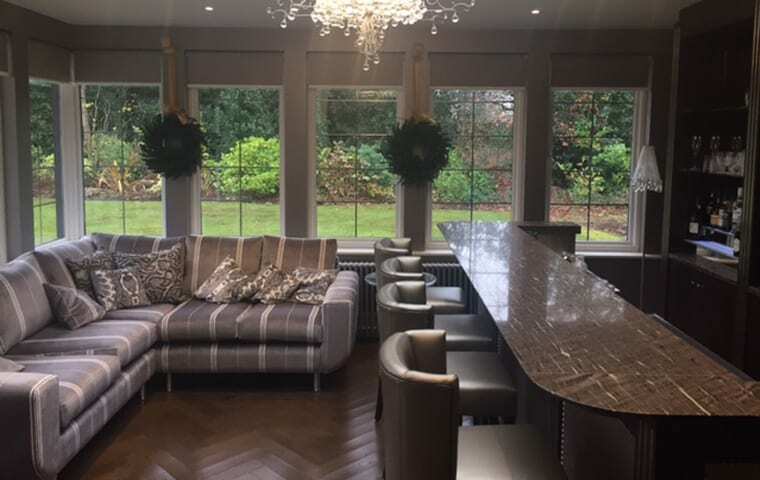 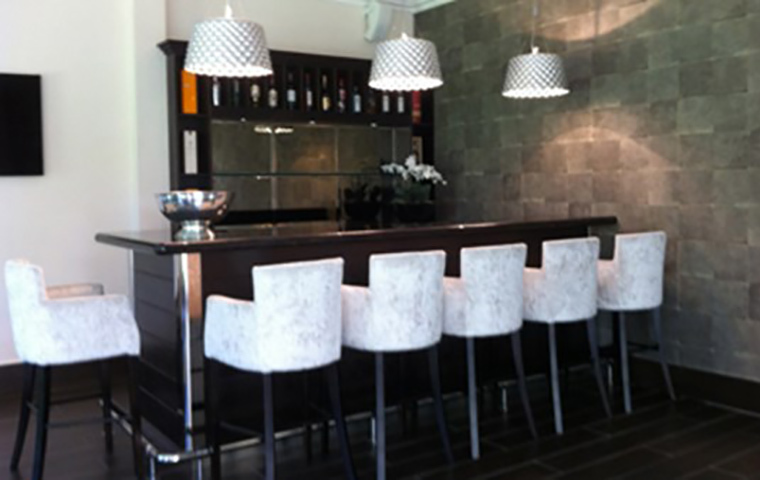 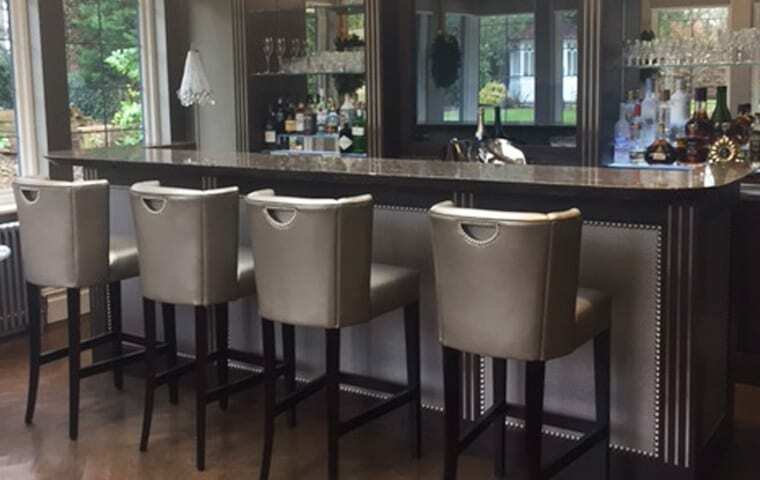 A stunning silk brown granite countertop bar with a stained timber bar frontage. 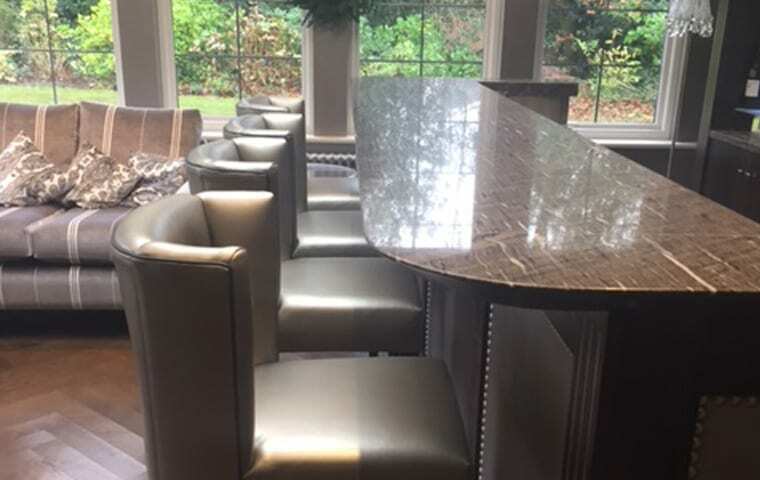 Each panel was upholstered in a designer vinyl wall covering and finished with antique brass studding. 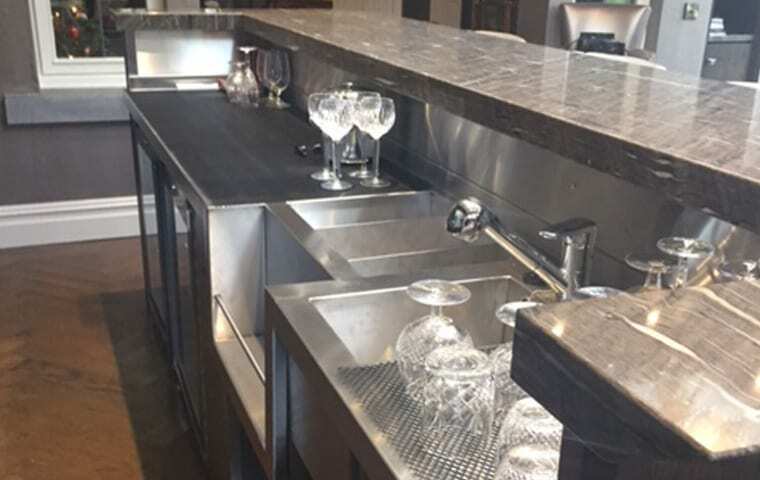 We manufactured the stainless steel underbar to include an ice well, speed rail and sink. 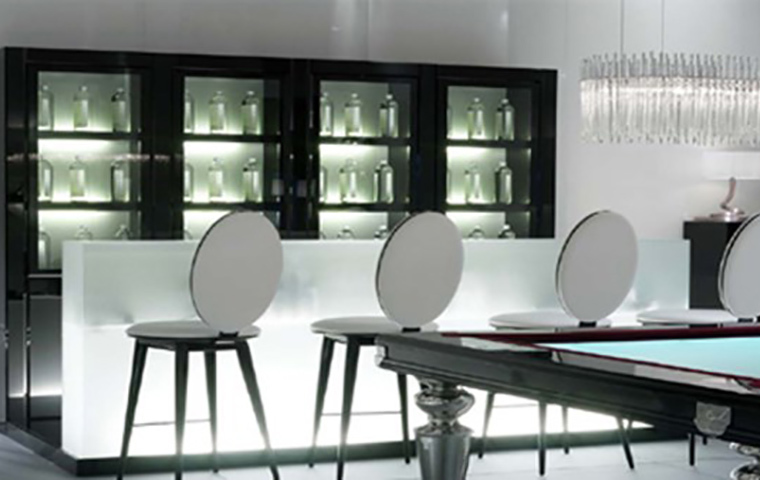 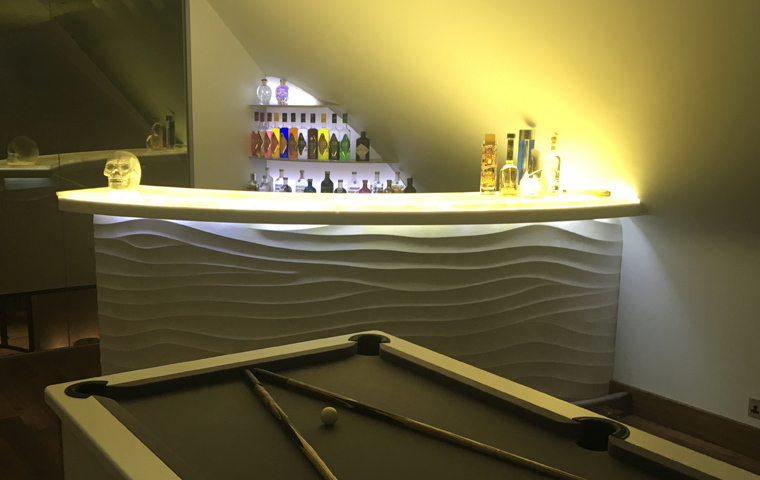 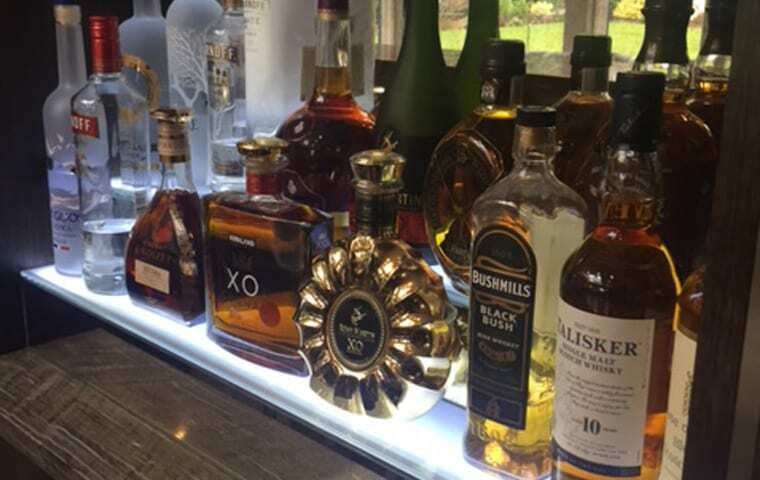 The project was finished with a beautiful illuminated back bar display.